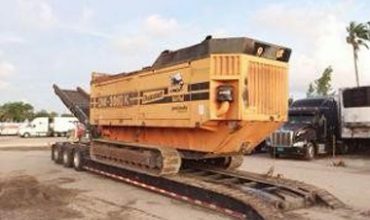 The largest track mounted trommel in California. 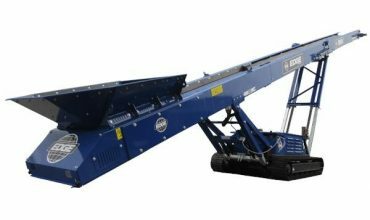 Trommel – Designed for maximum productivity, the EDGE TR622 trommel combines a heavy duty construction design with impressive production rates in an easy to use, portable and versatile screening plant. 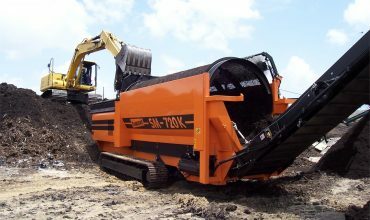 Ideal for construction and demolition waste, aggregate, topsoil, biomass and compost applications. 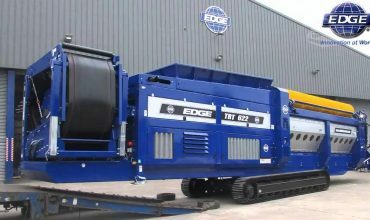 Why Choose an EDGE Trommel Over the Competition? 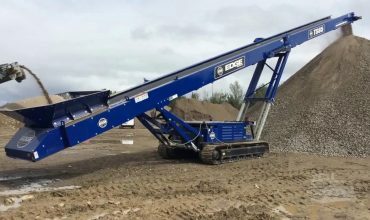 The TR622 Trommel Series from EDGE Innovate has been designed with the operator in mind, packed full of more standard features than all of the competition. 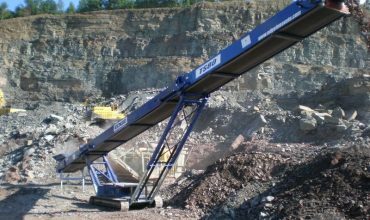 Here we describe why the EDGE TR622 is the best in class Trommel Screen on the market. 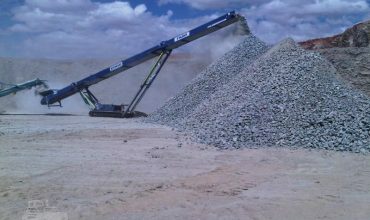 At Greenrock, we want to forge long-term partnerships with our customers. 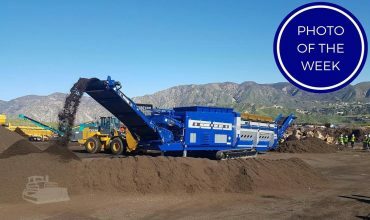 In the rare instance of machine downtime, we have certified EDGE technicians here in California and a large stock of parts for fast delivery. We put customers first and we have references to prove it. 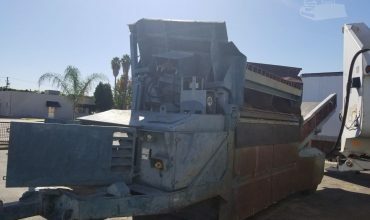 We provide the largest track mounted trommel for the organics & recycling market in California. Coupled with a world class Tier 4 Final Caterpillar engine, we have you covered for any difficulty with Air Boards. Some of our competition charge tens of thousands extra $$$ for a tracked option. We don’t. Why pay the competition extra for a feature we provide as standard? 1. 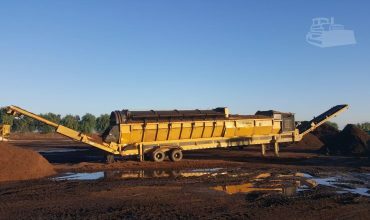 Leak money through excessive wheel loader usage moving the piles on a constant basis. 2. Buy a radial conveyor to eliminate point number 1. 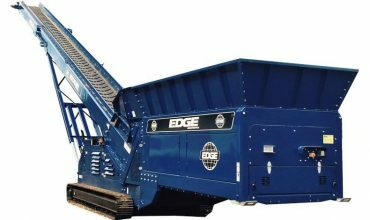 Save thousands of dollars in unnecessary expense by investing in the EDGE TR622, with patented radial conveyor turntable technology. The operator loading the machine controls all functions of the machine from the comfort of their seat. This saves expensive spillages associated with unproductive workers – just another cost saving measure many of the competition cannot provide. No frustrating and outdated chain drive system. 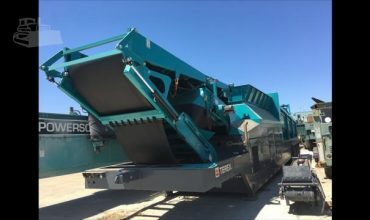 Feeder hydraulically jacks out of the drum. 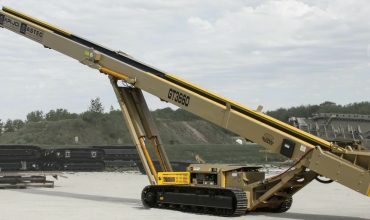 Brushes hydraulically lift off the drum surface. Wheel loader hooks chain on. Job done in less than 1 hour! 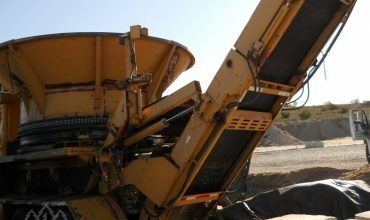 A 60-inch wide collection belt means no excessive bridging of material. We know how thankless of a task it is to clear out the collection belt so we have all but negated the need for it. 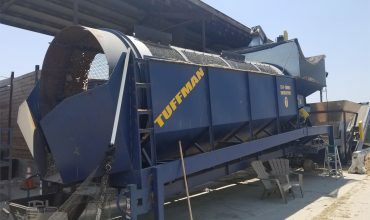 Sensors in the drum and feeder work in tandem to ensure material flow is always optimal. If material overloads in the drum, the feeder slows down (& vice versa). 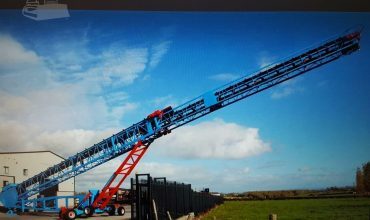 We understand every application is different – that’s why we supply a trommel which is fully adjustable – in height & in speed. Switch from 0 up to 7 degrees incline, and adjust feeder and drum speeds easily with the click of a button (in 5% increments). This provides optimal screening for every application.